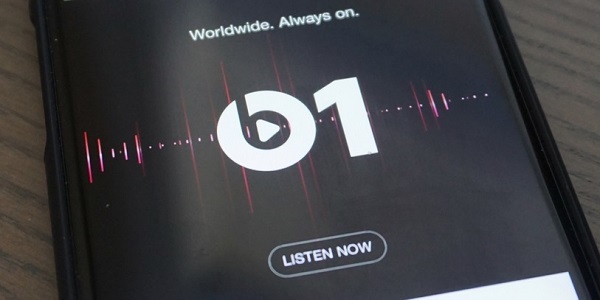 Apple Music is one of the best streaming subscription services now, launched in 2015. Like Spotify, Apple Music is all about streaming. It costs $9.99 per month, or $14.99 per month for a family subscription, so that you can access to Apple Music's entire catalogue, but you don't actually own the music you listen to. Apple Music files are protected with DRM copyright protection, which prevent you from burning them to a CD or listening in a different player. If you decide to cancel your Apple Music subscription ( or after three-month trial period), any matched tracks you downloaded will not play. So how to keep Apple Music forever after the subscription ends? Tune4Mac iTunes Apple Music is designed to help you to download Apple Music from iTunes library by converting to MP3, AAC or other audio files. 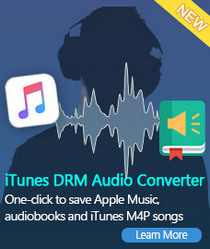 With it, you can easily remove DRM and convert iTunes Apple Music without any quality loss. 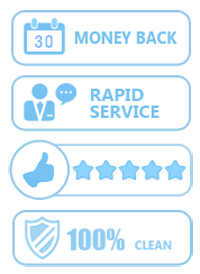 Moreover, this program can also support transferring Apple music to popular devices like iPhone 8, Apple TV, Android tablets, iPad, iPod and other audio players. 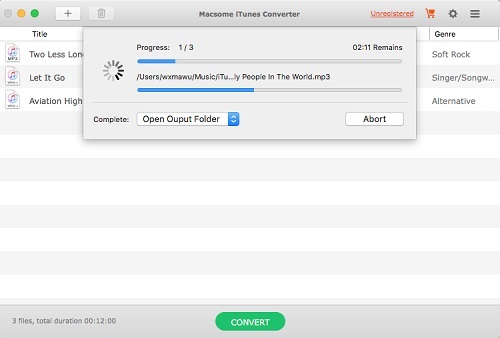 Before start, please download and install the iTunes Apple Music Converter on your Mac. It is fully compatible with macOS 10.8 or later (including High Sierra 10.13). By the way, if you are a Windows user, please get the Windows version. Step 1. 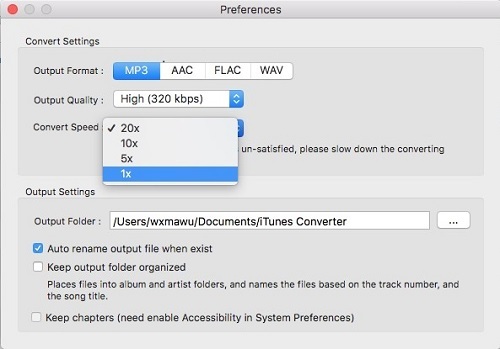 Import Apple Music files from iTunes to the program. To add Apple Music files to the program, you can click + button or click the main windows to select the files from library. Alternatively, you can directly drag and drop Apple music songs to the main interface. Step 2. Select output format and output path. At the right top corner of the window, click Setting gear icon or click Tune4mac iTunes Apple Music Converter Menu. It will pop up the Preferences window, select output format and output path as you need. Step 3. Start Apple Music conversion. After all settings done. Click CONVERT button, the Apple Music conversion will immediately begin and shall finish quickly. 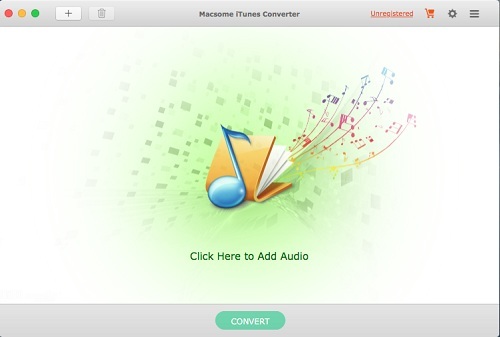 Once the conversion has finished, you can transfer the converted Apple Music files to any other devices or burn them to a CD. In this way, you can keep Apple Music files forever. Then what? 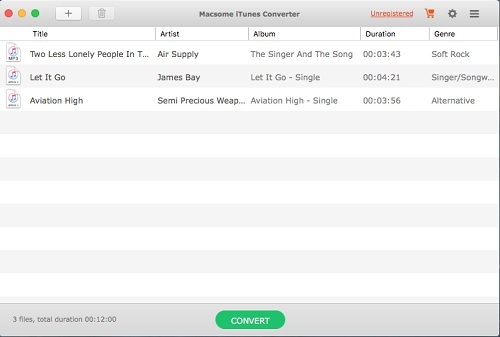 Try Tune4mac iTunes Apple Music Converter now! 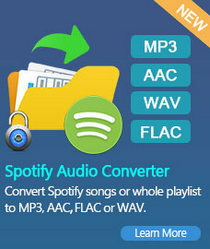 To remove the conversion limitation of 3 minutes free trial, please purchase the full version ( $39.95).